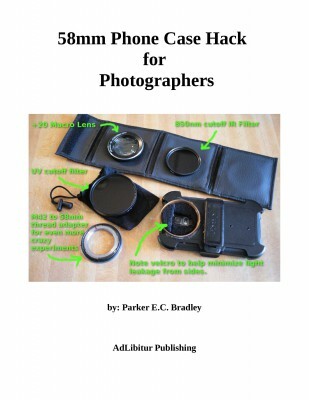 A quick exploration of smart phone case modifications for creative photography with today's smart camera phones. The book is available as a “Pay-What-You-Want” PDF download on GumRoad, and for 99¢ on the Amazon Kindle Store. Enjoy!